Photo credit: Pew Internet via Read Write Web. In Task 1 of the IELTS Academic Writing Module, candidates are required among others to describe data. To be good in task 1, they should be able to recognize trends, be able to mention the supporting evidence and periods, and be able to comment to highlight the significance of what was recently described. "When looking at specific younger demographic segments, and not just Gen Y, you can see strong Twitter uptake over the past year. 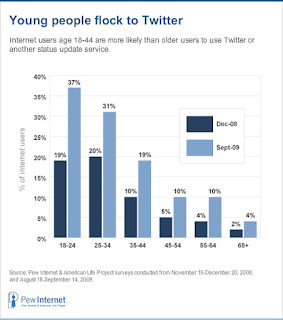 For example, 37% of those 18-24 now use Twitter when only 19% did back in December 2008. And in the slightly older 25-34 bracket, a portion of which could still be considered Gen Y, 31% are now using the service compared to only 20% in December of last year. 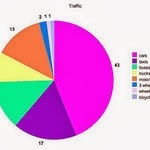 Combined, these two groups account for more than half of Twitter's network." To summarize today's tips for IELTS Academic Writing Task 1, try to include trends, evidence, periods, and a comment in your writing tasks. So candidates, do keep in mind the "trend-evidence-period-comment" format. This could help you improve your skills in IELTS Academic Writing task 1. 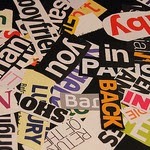 Attribution to Sarah Perez and Read Write Web for the Article "As Facebook Ages, Gen Y Turns to Twitter." A few months ago, we shared some pointers for questions that require you to express or justify your opinion in writing or speaking. In those tips, we basically reminded you to be clear in stating your opinions. Now how could you do this? 2) Make use of modal verbs to show possibilities or suggestions. Some examples of phrases are "I think," "I believe," "From my point of view," "It is thought," "It is believed," or "It is viewed," among others. On the other hand, examples of modal verbs are "can," "could," "may," or "might," among others. "Is Schumacher the greatest driver so far in 60-odd years of F1? Who knows. From my point of view you can't compare Fangio, Hawthorn and Clarke etc with today's drivers - it's pointless. The Schumachers and Sennas of the modern era could no better drive a 1960s car than Fangio etc could drive the video cars of today." Notice the the phrase "From my point of view..." when he stated his opinion on the greatest driver in Formula 1. Note as well how he used the modal verb "could" to manifest his view that it's pointless to compare the great drivers. To summarize, be sure to include phrases and modal verbs that clearly express your views. Making use of these techniques could help improve your scores in the IELTS. We hope you liked our tips for today. Cheers! Attribution to Eric Thompson and the NZ Herald for the article excerpt.